OK... not quite Ferrero Rocher, but still chocolaty rich and hazelnutty creamy! - Melt chocolate chips, sweetened condensed milk and Nutella together in sauce pan. - Remove from heat and stir in vanilla. 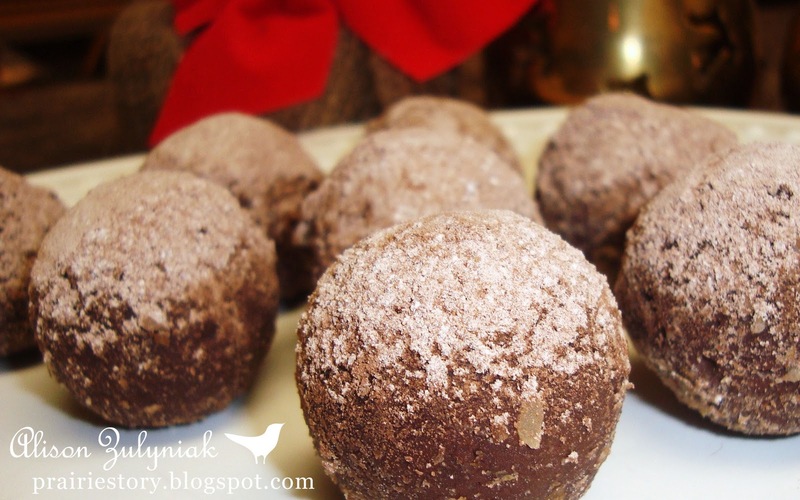 - Form into balls then roll in cocoa, icing sugar and/or finely chopped nuts. Yummmmmmmmmmmmmmmmmy!!!! Anything with Nutella in it is a clear winner! WOW! These look fantastic. Love Nutella. Nutella, how I love it! These sound beyond fantastic.